These tiny (A6) sketches were done in empty/almost empty hides (I put away my paints if space needed). Watercolour, artist pen and binoculars! Both at RSPB Mersehead. Female Mallard and some Canada Geese. Thank you Paul, Mike and Alan. I do envy your skill, Maggy. Allegedly I can paint, but I can't draw. A few scribbles, and you have captured the form of the birds wonderfully. Thank you Angus - your paintings are very good. My bird sketches seem to be getting better with practice (funnily enough!) but I do have some dreadful ones!!! I really like your style Maggy,I'm afraid my drawing is rather more basic simply showing enough id points for me to check out the id when I get to a field guide or laptop.This was always the norm in the days before modern cameras. 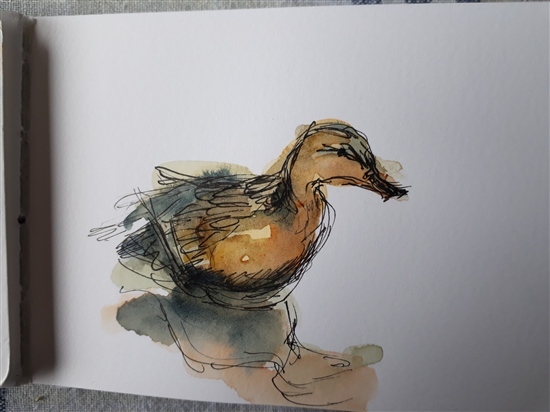 It is great to see someone sitting in a hide drawing,keep up the good work. 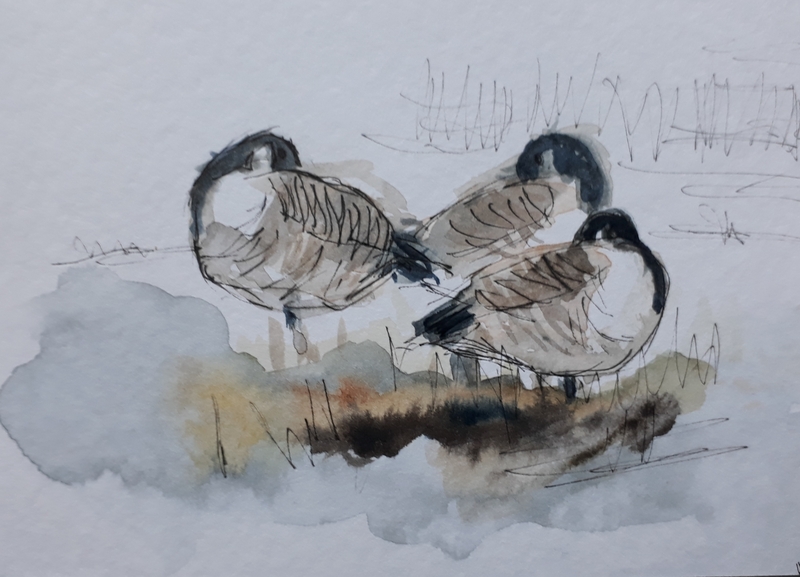 Thank you Pete :) Not sure that my paintings would be much use for ID - far too scribbly! Hope to paint some geese soon. Maggy,there was a bit on drawing on Autumn Watch last night which may interest you,it should be available on I player.